When Ron Alverson’s ancestors found their way in 1879 to a promising expanse of rich, vibrant prairie in the southeast corner of the great Dakota Territory, the United States had only just celebrated its first Centennial. Ten years after his Great Great Grandfather rolled up to Skunk Creek in an ox-drawn covered wagon with his wife and two young sons, North and South Dakota were admitted to the Union. He might be forgiven for not realizing his family would still be here 138 years later. He had lots to do. Ron Alverson describes the family history that started him and his son Keith on the path to farming — and ultimately to an obsession with soil carbon in their fields. From this vantage point, the Alversons have witnessed the turns of two centuries, two world wars, the Dust Bowl and Great Depression, the farm crisis of the 1980’s, boom times and droughts, and the arrival of scores of children with hopes and dreams of their own, all rooted in the start they got at the Alverson Home Place. They also witnessed the depletion of soil carbon, a challenge that would set Ron on a lifelong mission. 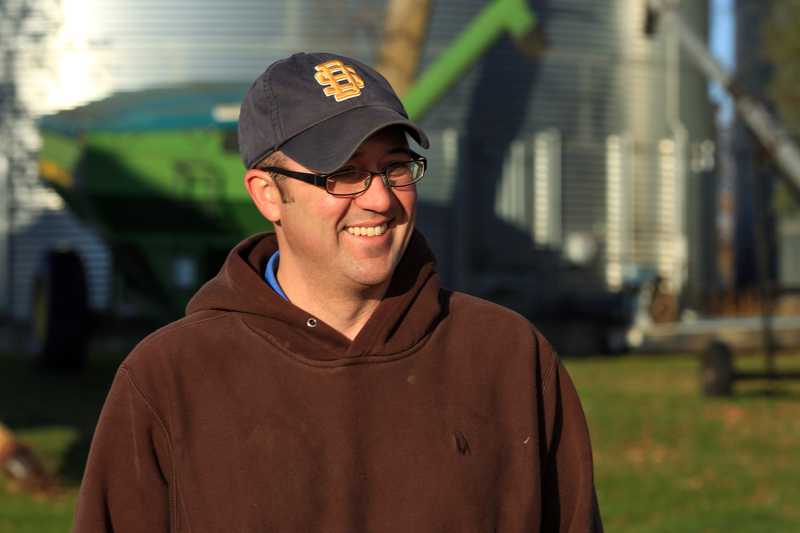 By the time he graduated from Chester High School, Ron was ready to forge his own path by pursuing a degree in agronomy from South Dakota State University, a little to the north of the family farm. But he wasn’t sure if he wanted to follow in his father’s footsteps or become a veterinarian. With a little nudge from his brother Larry, Ron came back to the farm in 1974 and helped take over the operation from his parents, Eugene and Lois. The Alversons raised corn, soybeans, small grain, hogs, poultry and beef and dairy cattle. Eventually they ramped down their livestock operation and concentrated on corn and soybeans, eventually innovating a low-till soil management system that helped rebuild soil carbon in their fields while planting three seasons of corn and one season of beans. It’s a story of leadership driven by one part curiosity and one part focus on the health and future of his farm. The future arrived in the early 1980s with the birth of Alverson’s son Keith. Ron didn’t know it at the time, but he’d brought along the sixth generation of his family to stay on the farm. Keith claims it was always his intent to be back on the farm to follow in his father’s footsteps. But at least one way he’s emulated Ron is through industry leadership. Ron helped found the South Dakota Corn Growers Association in 1987 and Dakota Ethanol in 1999, a biorefinery near the family farm. He currently serves as president of the American Coalition for Ethanol. Keith is a board member of both the South Dakota Corn Growers and the National Corn Growers Association. Carbon Harmony is a project the two of them share and focuses on innovating crop and soil management techniques to improve organic matter in their fields, increase yields, achieve sustainability in their operation and accomplish something unprecedented in agriculture: zero-carbon corn.